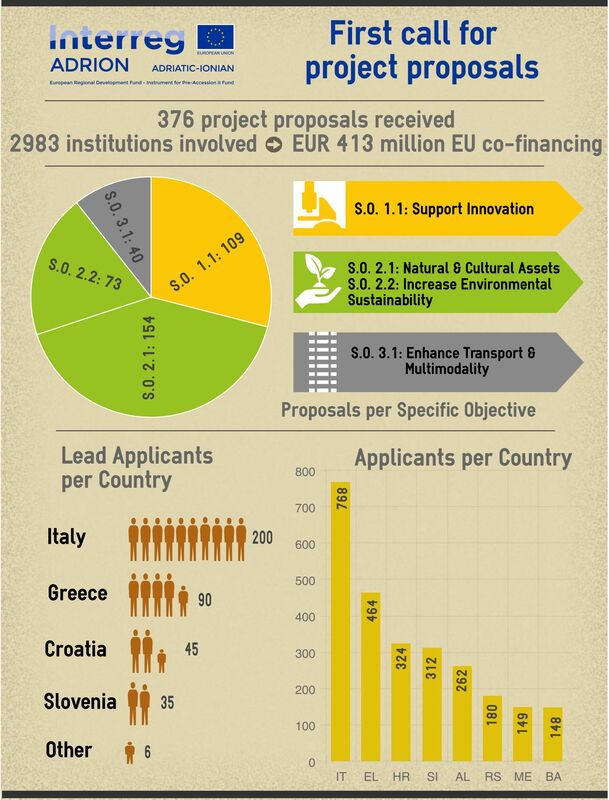 The ADRION programme launched its first call for proposals last 1st February which successfully closed on 25th March 2016. The programme shall act as a driver to foster the EU integration of IPA countries, based on the valorisation and promotion of the Adriatic-Ionian natural and human resources of the area in order to boost economic growth and develop social, economic and territorial cohesion. The programme covers 4 priority axes: Innovative and Smart Region, Sustainable Region, Connected Region, and Supporting the governance of the EUSAIR. 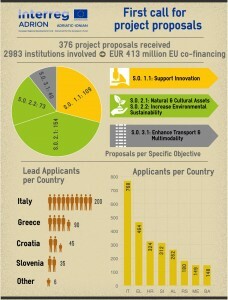 Around EUR 33 million in EU financing, including EUR 28 million of ERDF funding and EUR 5 million of IPA II funding are being made available. PRIMAVERA, led by the South Aegean Region, targets the protection, management and valorisation of high-value natural and cultural resources in small developed islands in the Adriatic-Ionian area, and shall contribute to the ‘sustainable tourism’ pillar of the EUSAIR. Led by the Veneto Region, a second project targeting the specific objective of enhancing capacity for integrated transport, mobility & multimodality, INTRAMOBILITYS proposes innovative integrated multimodal transport and mobility skills services by focusing more precisely on educational and training issues. Its final aim is to address the existing mismatch between graduates’ knowledge and IMTS business expectations. It will also aim to enhance a structured dialogue between key stakeholders with the final aim of bringing IMTS enterprises, national and regional administrations, vocational and training institutions together to promote and support the development of blue careers opportunities. In this highly competitive programme, a broader scope for closer cooperation between Adriatic-Ionian regions is now open and will act as an essential tool to deliver and materialize the EUSAIR strategy.